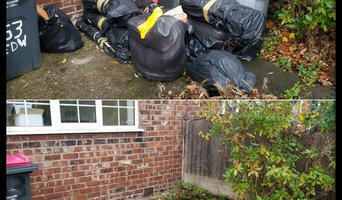 You can count on Fantastic Services in Manchester to deliver professional assistance with your property maintenance tasks - from cleaning and gardening to handyman or removals and storage services. We strive to ensure each service will be carried out efficiently, on time and with attention to detail and quality. You can rely on the cleaners to do the work in line with your personal requirements and the latest industry standard. 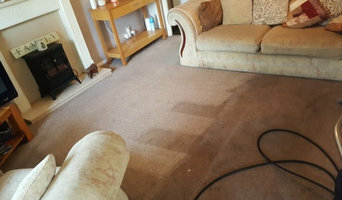 Our cleaning services include carpet and upholstery cleaning, window and oven cleaning, end of tenancy cleaning, regular and one-off cleaning anywhere in the Greater Manchester area. The gardeners can help you with any lawn maintenance, gardening, landscaping and tree services tasks in Manchester and the surrounding area. We use the latest tools and techniques in the industry. Also, we provide handyman services like picture and mirror hanging, TV, cabinets and shelves mounting, furniture assembly, bathroom and kitchen repairs as well as plumbing and electrical work - all performed by a fully equipped handymen. And for any pest control issues, the professional pest exterminators are ready to help you 24/7. They have the tools and the knowledge to deal with mice, rats, bed bugs, cockroaches and many more pests. Additionally, we provide professional and reliable assistance with home and office removals, moving supplies, packing and storage services in the Manchester area. Go to our website for more information or to book a service. Now you can register for our membership program and take advantage of special deals and discounts for each of the services. For more details and free quotes just give us a call. Pennywise Cleaners is a family run business in Sheffield. 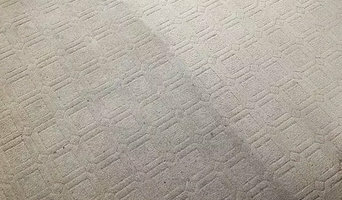 We offer cleaning services in different areas according to the requirements and preferences of customers which include Dry Cleaning, Wedding Dress Cleaning, Commercial and Domestic Carpet Cleaning and Upholstery Cleaning. We have more than 35 years of experience. We offer 24X7 hours cleaning services for your home and domestic purposes. We give amazing services at competitive prices. Being central to Warrington we can visit a customer quickly Unlike other companies who live outside the area. Our expertise, chemicals, machinery are the very best money can buy. A fresh and vibrant cleaning company delivering high quality cleaning services to the professional, commercial and construction sectors. We focus on specific industries to ensure that we deliver to the highest of standards. We conduct a site survey to ensure we meet your tailor made needs We endeavour to leave your site customer ready. The company performs quality cleaning services such as oven cleaning, bathroom cleaning, tile cleaning and kitchen cleaning. Our appliance cleaning services are all carried out using the disassembly method - where each component is cleansed individually in order to guarantee you stunning final results. We use the most modern tools and techniques in the industry and only eco-friendly cleaning products! Klean Team ltd leading office cleaning service provider in Central London. Office cleaners in London invest noteworthy energy in office cleaners in London, School cleaning, floor covering cleaning and designers cleaning. In Commercial cleaning organizations we included inclinations Shops , High-risings, server ranch, diner , work environments, show room , circulation focuses, plant Airport and schools. 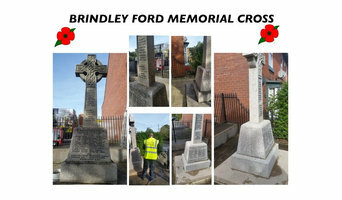 Friendly Cleaners can offer you professional and affordable house cleaning across Stockport. Brighten up your kitchen with our professional oven cleaning service in Stockport. Get your professional pressure washers from Peter's and witness the true graffiti removers at action. Residential cleaners in New Mills, Derbyshire, UK can provide routine cleaning, deep cleaning and end of lease cleaning. A routine service typically includes general tidying up, wiping down surfaces, dusting, sweeping, mopping, vacuuming, window cleaning and toilet cleaning. Microwave and oven cleaning, laundry and the cleaning of outdoor areas are usually additional extras. You may not have the time in between packing up and moving house, but a housekeeping professional can also provide end of lease cleaning, which typically includes everything from carpet cleaning to oven cleaning. Find companies in New Mills, Derbyshire, UK that provide skip bin hire, cleaning or rubbish removal services on Houzz. Scroll through this page to find a domestic cleaner, rubbish removalist or furniture removalist in your area. Just enter your suburb at the top of this page to narrow your search. Get contact information or message professionals directly so you can ask about rates, and read customer reviews.